Here in the underground studio bunker, I am busy as always, actively monitoring the incessant flow of the media torrent. This has been my purpose, my raison d’étre, for the past six years (more like 30 if you count everything). But never before this moment, with the overabundance of XTreme TRUMPology saturating our mediated reality, have I seen or experienced the FULL ON grip of the media torrent. Unless you have decided to seal yourself in an anechoic chamber, or maybe you have your own underground bunker impenetrable to the flow, you are witnessing a media assault like none other, which most assuredly is wreaking permanent damage on the American psyche. This, my friends, is what TRUMP had in mind all along. Not just to blow up the government, but to blow up our minds. It’s difficult to say whether there was any kind of strategic planning behind his stranglehold on the media. But in essence, like holding a mirror to the sun, he has redirected the media’s hot bright lights as a massive assault on the body politic, starving for drama and entertainment. Instinctively, with a kind of ferocious, primal desire to unleash the forces of the media torrent, he has released the valve that heretofore has never been opened quite this wide. We the People are now so tightly wound up in the episodic unfolding of this situational tragi-comedy, that we find ourselves seductively glued to a political reality show that is simply impossible not to watch: the polls, pundits, surrogates, ads, speeches, anger, and the bias of thrashing, clashing, spasmodic ideology. The nation is exhausted and spent with five days yet to go. 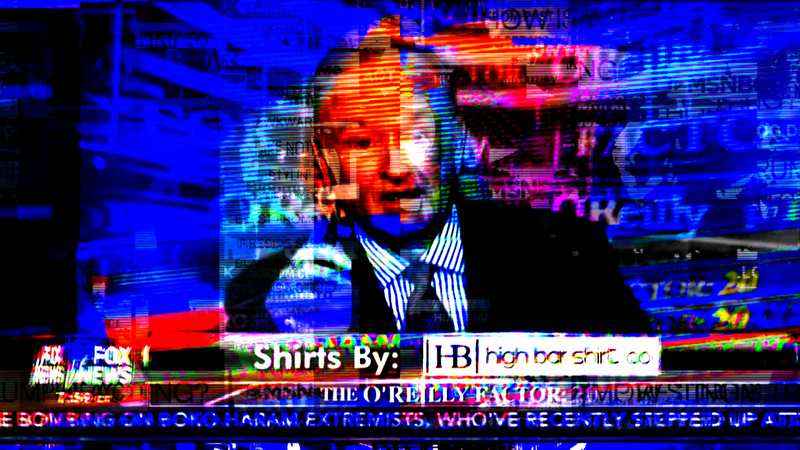 So during the final stretch of this epic horror show of a political campaign, I am, as an artist of the post reality, ingesting the torrent, systems ON, analyzing the contents, tracking the energy, recording the hyperacusic noise, in order to present to you a cooked slice of our media diet. Open up wide.